Relations between Christians and Jews over the past two thousand years have been characterised to a great extent by mutual distrust and by Christian discrimination and violence against Jews. In recent decades, however, a new spirit of dialogue has been emerging, beginning with an awakening among Christians of the Jewish origins of Christianity, and encouraging scholars of both traditions to work together. An Introduction to Jewish-Christian Relations sheds fresh light on this ongoing interfaith encounter, exploring key writings and themes in Jewish-Christian history, from the Jewish context of the New Testament to major events of modern times, including the rise of ecumenism, the horrors of the Holocaust, and the creation of the state of Israel. This accessible theological and historical study also touches on numerous related areas such as Jewish and interfaith studies, philosophy, sociology, cultural studies, international relations and the political sciences. Acknowledgements; 1. Introduction; 2. New Testament; 3. The writings of the Church Fathers; 4. The writings of the rabbis; 5. Biblical interpretation: another side to the story; 6. Medieval relations; 7. Antisemitism and the Holocaust; 8. Zionism and the State of Israel; 9. Covenant, mission and dialogue; 10. 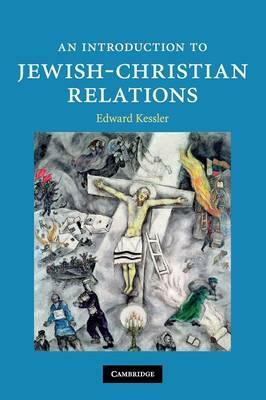 Jewish-Christian relations and the wider interfaith encounter; Timeline; Bibliography; Glossary; Index. Edward Kessler is Founder and Executive Director of the Woolf Institute of Abrahamic Faiths and Fellow of St Edmund's College, Cambridge. His books include A Dictionary of Jewish-Christian Relations (Cambridge, 2005) and Bound by the Bible (Cambridge, 2004).